Prior to the Sochi winter Olympics, shirtless Vladamir Putin wasn’t a matter of global scrutiny. Sochi introduced bare chested Putin in gob smacking splendor. 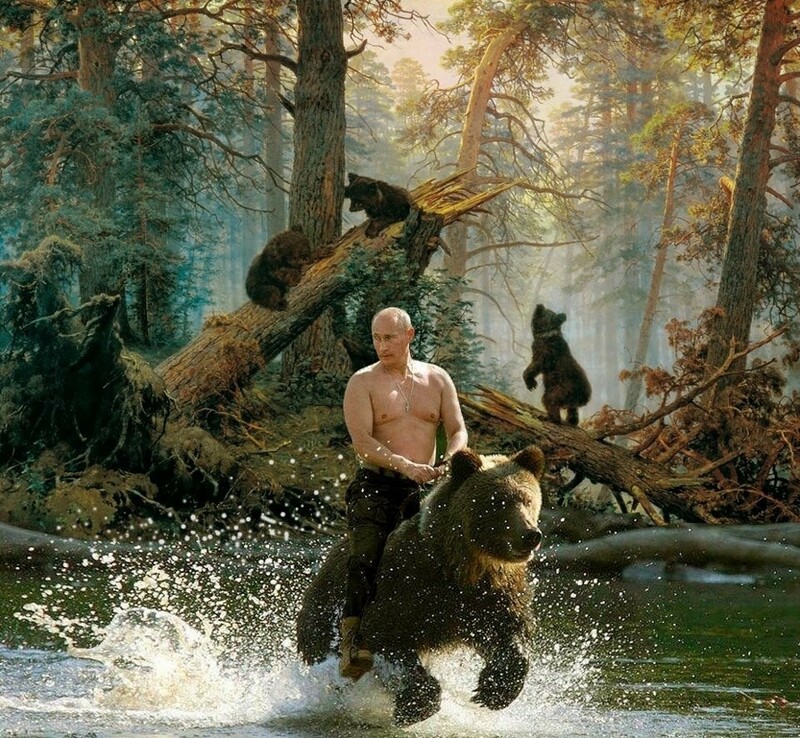 Images of stripped down Putin photo shopped atop exotic animals ambushed unsuspecting hotel guests. Shirtless Putin became the face of modern Russia. Vladimir Putin’s official 2016 calendar tempers bare skin with representations of a man for the people. Dough eyed Putin sniffing a flower, suited Putin snuggling a puppy, rugged camouflage Putin with fish (perhaps after shirtless fishing rod Putin caught a chill ), tough guy sweat pants Putin working out – a publication one must see to believe. What compels the leader of global super-power Russia to strut his stuff is anyone’s guess. On the cusp of 2016, as I hang a northern lights calendar on my kitchen wall – millions of Russians nail Putin’s surreal calendar to theirs. 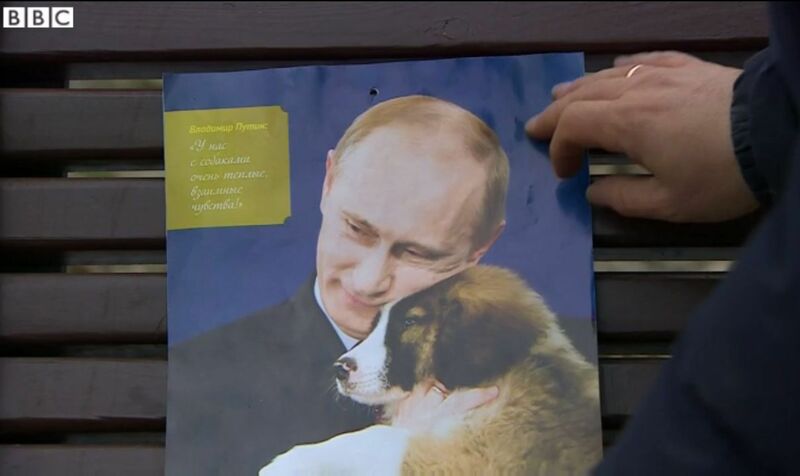 This entry was posted in Our World and tagged Putin 2016 Calendar, Russia, Vladimir Putin. Bookmark the permalink.